Discover our range of eco-friendly reusable and unbreakable drinkware and tableware. Our glasses are perfect for all types of establishments: hotels, pubs, clubs, restaurants, hospitals, schools, campsites and many others. RBDRINKS products are safe to use in microwaves, dishwashers and freezers and are resistant to high and low temperatures (-40°C to 130°C). In addition, RBDRINKS glassware and tableware preserve the warmth and freshness of the drink for a longer period than traditional glass or ceramic without altering their flavour or aroma. 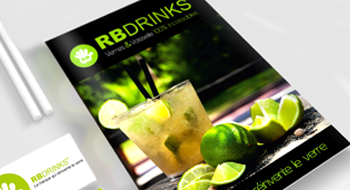 RBDRINKS drinkware and tableware are made of high-quality food grade polycarbonate standing up to 3.7 tones without cracking, shattering or splitting. No broken glass, no possible injury. RBDRINKS high-quality polycarbonate and manufacturing process ensures the most durable drinkware in the market reducing re-order frequency, making us a cost saving choice. Choose Our Unbreakable, Reusable Drinkware and Tableware. Our products are unique: unbreakable, reusable, environmentally friendly, and shock resistant. Unbreakable Drinkware and Tableware for the HORECA Sector and Organisations. 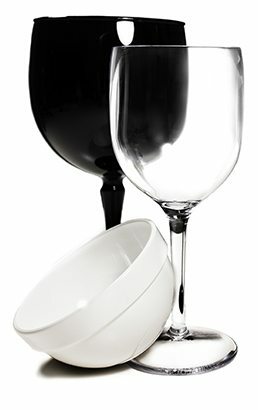 RBDRINKS offers a wide range of unbreakable glassware and tableware: beer glasses, cocktail glasses, wine glasses, water glasses, kids’ cups, coffee cups, jugs, plates, among many others. Do not wait, choose RBDRINKS unbreakable and reusable products. All our products are personalisable. 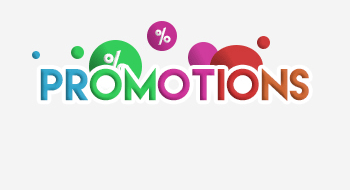 Our customisation on-demand service is an excellent way to promote your brand. 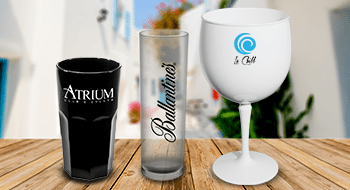 Customise drinkware, tableware or accessories with your company logo and improve your brand awareness. Tell us about your project and we will guide you through all stages of your order.